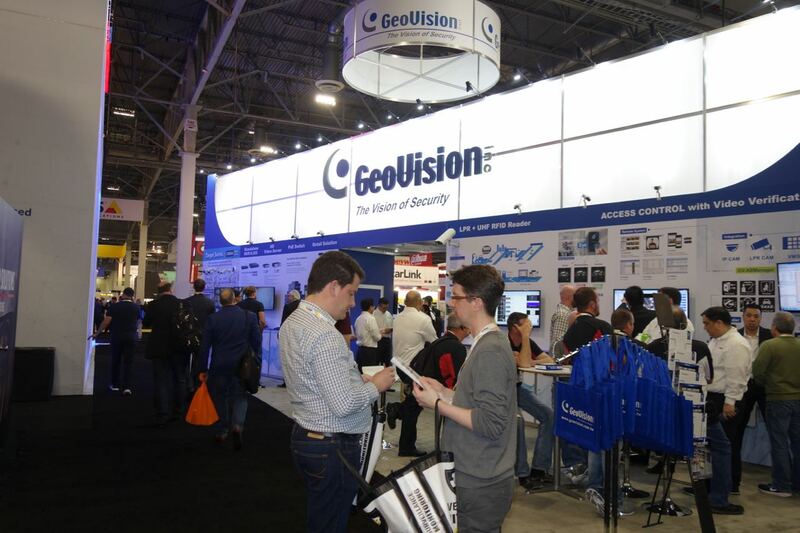 ISC West is a business-to-business expo where attendees can learn about the latest products, solutions and insights in the security industry. The short name is ISC West. The ISC stands for International Security Conference. The event is organized by Reed Exhibitions in partnership wit SIA, the Security Industry Association. Some 29,000 people attend ISC West. They visit 1000 international and domestic security product manufacturers to learn about the newest security products and technology. They network with colleagues and security professionals, and they attend a choice of more than 75 educational sessions. The hallway between the Venetian Las Vegas and the Sands Expo & Convention Center was packed with people April 4 through 7. Visiting the ISC West expo (which I did last Wednesday) is a bit like walking into the future. Lights and security systems can be turned on through cell-phone apps; doors can open by the color of one’s eyes; security patrols give way to robots who send messages to headquarters while even saying “excuse me” when they bump into an unknown someone, and literature boasts barriers that can stop a 15,000-pound truck impacting at 50 mph dead in its tracks with zero penetration and no foundation damage. Heard on the show floor. One attendee asked another, “What’s the best thing you’ve seen at the show?” The answer: “The models”. Two of those models, from Las Vegas, were April and Hope (yes, those are their real names), who were working the Crucial Trac exhibit. The security professionals who attend ISC West not only attend the Expo, they attend a number of educational sessions with topics such as, “The FBI View pf Cybersecurity: Threats, Trends and Proactive Strategies”, “Robotics: Upcoming Legislation and Government Regulations You Want to Know About”, “Pros and Cons of the Internet of Things” and “Deter, Detect and Defend Against Today’s Active Shooters”. ISC West, in today’s environment, is serious business. Thank you very much for the very nice report. I landed on this page when I was searching for the number of this year’s attendee? I felt there were much more than 29,000 attendees considering how crowded it was.